PAYSON, Utah — That’s plane crazy. 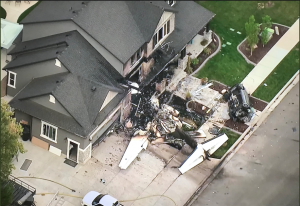 An angry husband was killed when he slammed a stolen plane into his own home in an apparent bid to kill his wife after spending a night in jail for domestic abuse, police said. Duane Youd, of Payson, Utah had been jailed Sunday following the dispute with his wife on Sunday evening. 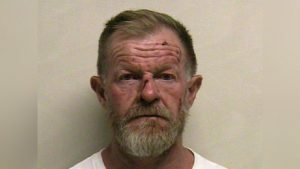 A few hours later he was released and escorted back to the family home to collect some belongings, the Payson police said. Early Monday morning, two hours after leaving the home, Youd stole a Cesna 52 citation jet from a company where he had worked, and flew it into the front door of the home and burst into flames, police said. Youd was killed in the crash, but his wife and one of their children who was home at the time, escaped from the burning house unharmed. The plane narrowly missed some power lines on the way down and clipped another home before crashing. “It’s a lucky thing for us, if anything in this whole situation, is we have the destruction of property and one male deceased, but it could have been so much worse,” Payson Police Sgt. Noemi Sandoval told KSL-TV. Police say they are aware of one other domestic violence incident in which Youd was arrested within the past year. SALT LAKE CITY — A 15-year-old girl was brutally murdered in her home just moments after checking in by phone with her mother who then was forced to listen helplessly as her daughter was killed. Police in Salt Lake City say Baleigh Bagshaw had called her mother Monday after school to let her know she had arrived home, when the killer struck. Detectives say Bagshaw’s mother heard her daughter being “brutally attacked,” before the line went dead. The mother then called a neighbor to go check on her daughter and the neighbor called police. Officers arriving on the scene found what they described as evidence of a “very violent attack,” with “quite a bit of evidence“ that was “widely spread throughout the home and throughout the area,” according to Sgt. Brandon Shearer of the Salt Lake City police. 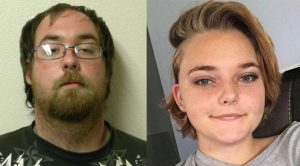 Cops launched a nationwide manhunt for 24-year-old Shaun French, who had had a relationship with the teen and picked him up in Colorado three days after her slaying. Before his arrest, French had been was charged with three counts of third-degree felony unlawful sexual activity with a minor. Police say he moved in with Bagshaw’s family in February 2017, and began carrying on a sexual relationship with her when she was 14 years old and he was 23. He had later moved out. SALT LAKE CITY — If at first you don’t succeed … . 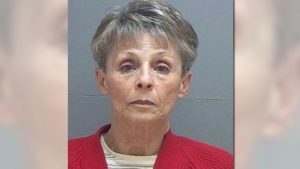 An elderly Utah woman on trial for trying to hire a hitman to kill her ex-husband and who was accused of hiring a second contract killer while in jail, has been charged with trying to hire a third hitman, prosecutors said. Linda Tracy Gillman, 70, was hit with the new charges on the same day she was convicted in the original case of trying to get her ex killed. “I’ve never seen anything like it,” Salt Lake County District Attorney Sim Gill said, according to KSL-TV. Gillman had originally been charged with giving an employee $5,000 to an employee to arrange for her ex-husband — a prominent bankruptcy lawyer — and his new wife to be killed in a way that looked like a drug overdose. She promised to hand over another $10,000 when the job was done. But the man went to police instead. 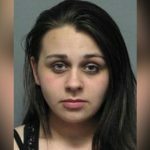 While she was in jail, Gillman was charged with approaching another inmate who she thought was affiliated with a white supremacist gang, to arrange to have the original “hit man” killed so he couldn’t testify against her. The case was ultimately dropped due to problems with the witness. But as Gillman’s trial began, it surfaced that she had tried a third time to hire a contract killer to bump off the original “hitman” in the case involving her ex-husband and an attorney who had won a separate civil suit against her. Authorities caught wind of that plot when they intercepted a check for $155,000 that was made out to relatives of a fellow inmate she had tried to get involved in setting up the hits. HEBER CITY, UTAH — If I’m going down, you’re coming with me. 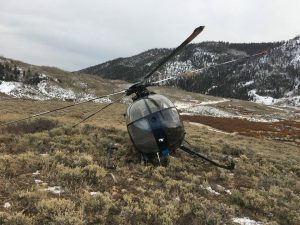 A defiant elk took down a research helicopter trying to capture it in a remote corner of Utah, when the animal jumped into the chopper’s tail rotor, destroying the aircraft. 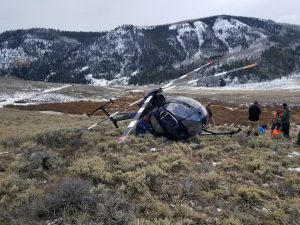 The helicopter and its crew were working for the state Division of Wildlife Resources trying to sedate, capture and tag the elk in a mountainous region in the eastern part of the state when the crash occurred Monday, police said. As the chopper hovered about 10 feet off the ground, the crew attempted to throw a net over the elk, which reared back, striking the helicopter’s tail rotor and nearly snapping it off. The chopper landed hard on the ground, but the two crew members were not hurt. The poor elk, however, did not survive, authorities said. Wildlife officials use tracking collars to help monitor elk migration paths and survival rates. In all, the state tags about 1,300 animals each winter. While almost all are captured using helicopters, the fluke crash was the first of its kind officials could recall. LUND, Utah — A group of kidnapped children were rescued from the remote compound of a doomsday cult where two of the young girls were to be married to the so-called prophet of the extremist sect, police said. 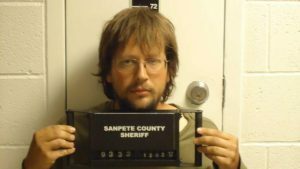 Cops had been hunting for the children in Iron County, Utah after the mother of four of them reported that their “doomsday prepper” dad, John Coltharp, was holding them at the compound of the religious survivalist sect, the Knights of the Crystal Blade, of which he was a member. The Knights of the Crystal Blade is believed to be a fundamentalist Mormon offshoot which believes in polygamy and that the world is going to end. Cops located Coltharp on Friday but he refused to say where the kids were being held. Officers later found the couple’s two sons — Seth and William — inside a metal shipping container, where they were being held by Coltharp’s parents. 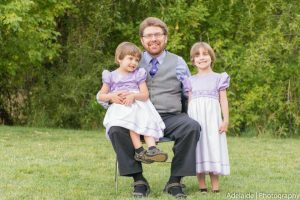 Investigators were told that the sect’s charismatic leader, Samuel Shaffer, 34, had taken Coltharp’s two daughters, Dinah, 8, and Hattie, 4, along with his own daughters Lily, 7, and Samantha, 5, to hide in the rugged landscape near the compound. After a wide-ranging air and ground search, Shaffer was located but he refused to say where the girls were. He later directed cops to an area where his daughters were found hiding in a 50-gallon, rubber drum where they had been for 24 hours in subfreezing temperatures. 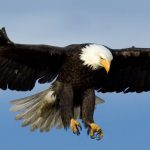 Dinah and Samantha were found an hour later in an abandoned trailer, suffering from severe dehydration and were airlifted to a nearby hospital, with the youngest later flown to a bigger hospital in Salt Lake City. Samuel Shaffer has been charged with two counts of Kidnapping and four counts of Child abuse. John Coltharp is in custody, but has not yet been charged. SALT LAKE CITY — A real class act. A Utah woman has turned herself into police after surveillance video showing her pickpocketing a man having a seizure at a 7-11 was broadcast on the local news. Alexandra Dewsnup, 28, was seen bending over the prone body of Dustin Malone as he suffered from an epileptic seizure on Oct. 4, and lifting his wallet from his pocket. She then took out a credit card and walked out without calling for help. The card was then used at a nearby business a short time later, cops said. Dewsnup told cops she was high on Xanax at the time of the robbery, but she took full responsibility for the theft, reported KSTU-TV. Dewsnup was charged with felony theft and unlawful possession of a credit card. SALT LAKE CITY — A 14-year-old girl said “I am tougher than a bullet,” as she walked out of a Utah hospital nine weeks after being shot in the head and left in a ditch to die. Deserae Turner was shot in February after being lured to canal in the town of Smithfield in northern Utah by two 16-year classmates with the promise of selling her a pocket knife. But instead, the boys shot her in the back of the head, stole her belongings and left her for dead. She was found hours later by friend who had gone looking for her. She eventually identified her attackers after awaking following weeks in a medically-induced coma. The two boys have been charged with attempted murder. Prosecutors are seeking to have them tried as adults and a decision on whether to move the case out of juvenile court is expected next month. Wearing a white T-shirt with the word “Happy” scrawled on the front, the teen said Thursday that her clothing reflected how she felt: Happy to go home. Happy to soon see the horses that she loves. Happy to be alive. 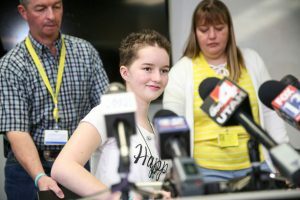 “I am so thankful to be here today — to be alive,” Turner said at a news conference Thursday, ahead of her released from Primary Children’s Hospital in Salt Lake City. Wearing a T-shirt that read “Happy,” Turner said she still has a long way to go with her recovery from the shooting which left a piece of the bullet permanently lodged in her head. SALT LAKE CITY — Practice makes perfect? 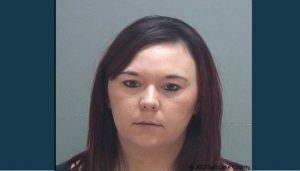 Police in Utah are searching for a woman who attempted to knock over six banks around Salt Lake City in the span of just 24 hours. 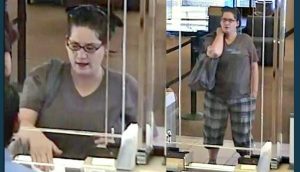 Cops say the woman, who was described as white and in her late 20s or early 30s, first struck Friday afternoon at a Chase Bank in West Valley where she handed a teller a note demanding cash and walked out with an undisclosed amount of money. She turned up again on Saturday morning at a Chase in Salt Lake City where she also handed over a note but “got spooked and left” before collecting any cash, the Salt Lake Tribune reported. The woman then went to a Wells Fargo branch in Holladay where she passed over a note and walked out with case. She followed by hitting the University Federal Credit Union in Cottonwood Heights. 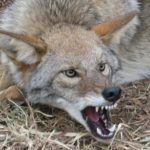 She then struck again at two banks in quick succession in Sandy — Wells Fargo and the Deseret First Credit Union. Police say the woman stands about 5-foot-5 and has a medium build. During the robberies she wore her brown hair pulled up in a bun and was wearing black glasses, a blue bandana on her head, a dark shirt and pajama bottoms. Some police reports stated that she appeared to have a mole under her right eye. 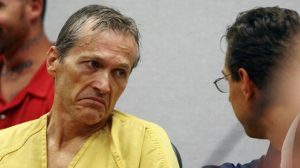 DRAPER, Utah — A Utah doctor serving life in prison for drugging and drowning his fashion model wife in a bathtub died mysteriously in jail, officials said. Martin Joseph MacNeill, 61, was found unresponsive on Sunday near an outdoor greenhouse facility at the Utah State Prison in Draper. Corrections department officials said there were no signs of foul play. “The death is being investigated to determine the exact cause, and there are no obvious signs of foul play,” the department said in a statement. But MacNeill’s lawyer said he suspected he had committed suicide. MacNeill was serving a 15-years-to-life term in prison for the death of his wife Michele in 2007. A former Mormon bishop, he was convicted in 2013 of first-degree murder and wasn’t eligible for parole until 2052, when he would have been 96 years old. His death came just a month his bid for a new trial had been rejected by an appellate court. MacNeill’s 50-year-old wife, Michelle, who was recovering from cosmetic surgery just days earlier, was found unconscious in her bathtub by her then-6-year-old daughter. She was taken to a hospital, where she was pronounced dead. Prosecutors convinced the jury that MacNeill had given his wife a fatal mix of prescription drugs and then held her head under the water so he could continue carrying on an affair with Gypsy Willis, a woman he later hired as nanny to his younger daughters following his wife’s death. He was also convicted of sexually abusing one of his daughters. A month after he was convicted, MacNeill attempted suicide while awaiting sentencing, but lived. A Utah state wildlife researcher was recovering after accidentally becoming the target of an animal tranquilizer when a colleague had taken aim at a bear and missed. 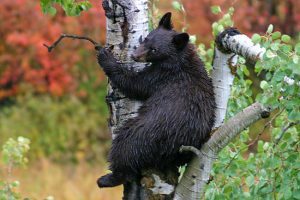 The team had been tracking a family of black bears in the remote Book Cliffs region in the northeast of the state on Tuesday as part of a study on the animal’s reproductive and survival rates when the mishap occurred, the Salt Lake City Tribune reported. After locating a mother and her cubs, the team attempted to tranquilize them in order to examine them, replace their radio collars and record details of the new cubs. As the biologist lost consciousness, several team members raced to the top of hill where they were able to pick up a faint cell phone signal and call for a medical helicopter to come to the rescue. The wounded biologist, who managed to get to the top of the hill under his own power, was flown to Provo’s Utah Valley Regional Medical Center where he is expected to make a full recovery. “He needs time to rest and recover,” a department spokesman said.